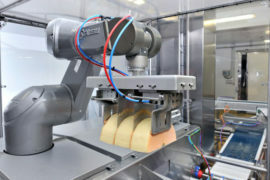 The world is at the dawn of a new age in industrial robotics. 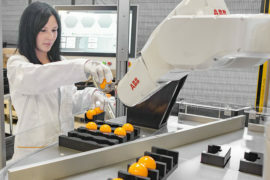 While industrial robots are mostly still large, heavy items of plant designed to rapidly process repetitive tasks from behind safety barriers in big factories, they are now also making their way into smaller factories, where they are more compact and versatile and are able to work alongside their human “co-workers” without any safety barriers. 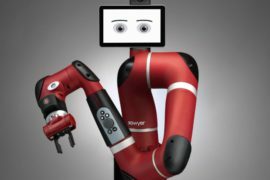 This proliferation of new application areas, coupled with burgeoning worldwide demand, is driving strong growth in robotics sales. 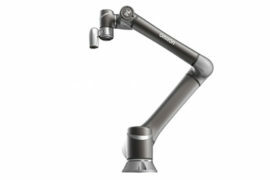 The International Federation of Robotics (IFR) reports that its members sold around 170,000 industrial robots in 2013, an increase of 12 percent on 2012, and that 2014 is headed for similar growth. Fanuc will be presenting its latest robotics and control/servo-drive solutions in what will be its first appearance at HANNOVER MESSE since 2003. 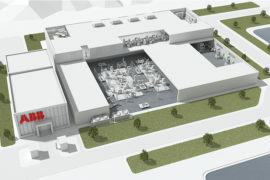 “We will make extensive use of the fair to profile our multidisciplinary robotics and factory automation technologies,” said Fanuc Germany CEO Olaf Kramm. 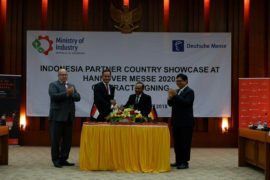 2015 will also be the fifth time that the ROBOTICS AWARD is offered by the organizers of HANNOVER MESSE. The Award honors companies that develop products, projects and technological advancements that make an innovative contribution to robotics-based solutions in the areas of industrial automation, mobile robots and autonomous systems. Olaf Lies, the Lower Saxony Minister for Economics, Labor and Transportation, with present the winners with their prizes at a special ceremony at the Automation Forum on 14 April 2015. 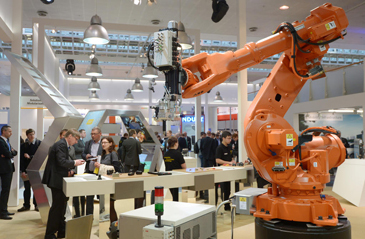 But before then, there’s the 4th ROBOTICS CONGRESS, which will be held in Hannover on Tuesday 9 December 2014 and will explore current trends in applied robotics. Among the discussion topics will be the move towards robots which are easy to operate and integrate and hence open up new areas of application. One such area is human-machine collaboration – as reflected in the congress’s lead theme of “Human-Robot Collaboration.” The program includes technical presentations and discussions, not to mention keynotes from such notables as Dr. Norbert Elkmann, Director Robot Systems, Fraunhofer Institute for Factory Operation and Automation (Fraunhofer IFF). Dr. Elkmann’s address is titled “Safe Human-Machine Collaboration – Current Developments and Projects.” The congress will be held in the Convention Center (CC) at the Hannover Exhibition Center.